Lotus Notes Mail Conversion tool gives you a chance to Read Lotus Notes Mail in Outlook. Notes in Outlook tool Converts Lotus Notes Database like emails, address book, calendar, journal, to do list, task, notes into Outlook PST at your pocket $250. Windows Backup recovery software is a highly advanced backup utility and easily repairs or restore corrupt Windows backup files. This application open corrupt BKF file in Vista &amp; Windows 7 also. Shift your Lotus Notes Address Book to PST using SysTools Export Lotus Notes Contacts to Outlook software. Fully equipped Notes Contacts to MS Outlook conversion tool quickly switch your Lotus Notes Database & successfully convert it into PST. By using Recovery Fix for access repair utility, users can view their corrupt Access database files and restore back all inaccessible data and corrupted data. World Best Access File Repair Tool to recover deleted access files (MDB &amp; ACCDB) from your system. Get easy &amp; safe result with the help of our Access file repair software. IntelliVIEW Report Analyzer is an end-user analysis tool that empowers business users to view, extend or analyze their report data without adding any IT overhead. Its user-friendly drag-&-drop functionality enables users to modify data in real-time. Designed for the beginner as well as advanced collector, this card collecting software will allow you to organize your collection of sports and non-sports cards. Manage your collection in one software and keep track of your card's price over time. NSF Local Security Remover from SysInfoTools is an application that allows user to remove local security from NSF database files of Lotus Notes. NSF Local Security Remover from SysInfoTools is build with highly interactive graphical user interface. Recoveryfix allows you to repair Access databases with two proficient modes, i.e. Standard Mode and Template mode. Use Standard mode for basis errors and Template mode when whole database structure is damaged. Eye catching animated interactive 3D+2D FLASH (swf) Charts. XML database compatible. Combine Column Cylinder Area (floating) Line (step) Bubble Surface Candlestick and Kagi Stock charts. Pie Doughnut Pyramid Cone Funnel (freebie). Polar Radar Rose. 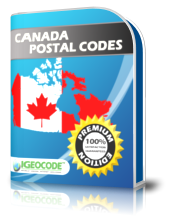 The IGEOCODE Canada Postal Code Basic Edition database includes total of 10 data fields which consists of: Postal Code, City, City Old Name, Province Abbreviation, Area Code, Latitude, Longitude, Elevation, Time Zone & Day Light Saving. Microsoft Windows backup restore software by our organization is available to resolve userÃ¢â‚¬â„¢s doubts like how to restore Windows backup database or how to retrieve data from Windows XP backup. Fast and Flawless conversion of Lotus Notes NSF files to Microsoft Outlook PST files. Export Notes software easily Convert NSF File to PST without any mess. Convert Notes database to Outlook by migrate NSF file to Outlook. Access File Repair Freeware software is the well designed program to fix all the errors related to access database without any trouble. Access File Repair tool fix the access files created in MS access 95, 97, 2000, 2002, 2003, 2007 &amp; 2010. Billing and inventory management software keeps track of all sales and purchase order of your organization and generates stock, invoice and ledger report in printed form. Accounting software maintains company financial stock and confirmation details.